November 13th, 7pm, 29 Park Place. Free to all. Come if you can. One. Sunday October 22nd. The Bleddfa Centre have a day of events called You’ve Written a Book, Now What? Helena Attlee, KJ Whittaker (I’m immersed in her marvellous False Lights at the moment) and I will be talking about… that sort of thing from 10:55. But there are all sorts of speakers all day: agents, experts of every stripe. Two. Thursday November 2nd. An evening at Waterstones Trafalgar Square with Fiona Mozley, Daisy Johnson and Danny O’Connor discussing “literary writing, nature and life, and the intriguing connections between rural landscapes and language”. Three. Friday 10th November at the Malvern Book Cooperative. An evening of Addlands, that one. Starts at 7:30pm. So there we go. More things presently. A couple of things worth knowing about perhaps. 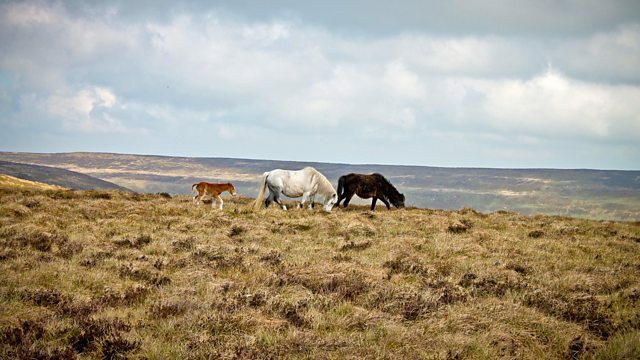 One is the Sound Walk to Hay-on-Wye: a four-hour walk/ meditation on the Welsh borders landscape, led by the incomparable Horatio Clare. It went out on Monday on Radio 3 but is safely on the iplayer. I turn up on it, I think, about halfway through, talking about remote farms and odd bits of dialect. Christopher Meredith also shows up to read, among other things, his magnificent poem ‘Borderland’, which played a big role in my Addlands thinking. Please come along to Waterstones in Cardiff (The Hayes) at 7pm on Thursday April 20th for the launch (of a sort) of the Addlands paperback. I’ll be talking all things Addlands with the peerless Max Porter and then, with any luck, with other people too. My thanks to Countryfile for choosing Addlands as one of their 12 Great Books to Read This Autumn, and to Lucy Scholes for her thoughtful appreciation. One thing, though. 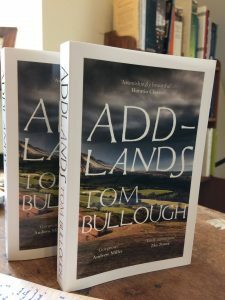 She writes that “Addlands is an elegy to a world and way of life that’s fading away”. A few people have called the book elegiac now, and I do think it’s a misreading. One of the few things I fault in Gideon Koppel’s wonderful 2008 film, Sleep Furiously, about a village community in Ceredigion, is its final piece of text, its only commentary: “It is only when I sense the end of things,/ that I find the courage to speak/ the courage but not the words”. In the book itself it is not for me to commentate, and my view now is only my view. But I have to say, I wrote Addlands precisely not as an elegy. It describes a period of accelerated change, but as Etty reflects in the 1989 chapter, at the end of the harvest: “The anxiety of the morning was gone – and that was nothing to the days of hay when they had been slaves to every turn in the weather and the winter waited dark and uncertain. The silage, the combine, these things were like blessings…” The change experienced by the characters is, to them, as good as it is bad and, which is crucial, this has never been a static place. It is precisely the sense of stasis in other novels of the Welsh borders, the depiction of people as archetypal or (like Iago Prytherch) “your prototype”, the sense of the Cymri on the one hand and the Saxons on the other as having been ever and implacably opposed, that I was writing against. Disagree with me by all means, but I can’t see Addlands as any sort of lament.